The name of Stanford Wong is widely known in the world of blackjack: he is famous as the magnificent author of numerous books about casinos and gambling though he is also a professional player and the author of one card counting system which was called by his name. One page of Wong biography can be the reason to call him a creator of special software for blackjack analysis, and he is also a great blackjack consultant and researcher. So, it is not surprising that such a person could not stay unnoticed by community: in 2003, Wong together with the 6 other blackjack idols became a member of the Blackjack Hall of Fame. Let’s get acquainted closer with Mr. Wong biography! Stanford Wong (the real name is John Ferguson) was born in 1943 and became interested in blackjack when he was twelve; but not the game itself was interesting for him but strategies which could be used to win this game. John used a simple calculator for figuring out all possible variations he could met during a game. A little bit later he got acquainted with card counting and by the age of 21 had become a real professional of blackjack who had a right to play now. Stanford Wong began playing in 1976: he worked as a teacher of finances at San Francisco State University. But even then he did not give up studies and got his Ph.D. from Stanford University (by the way, the first part of his pen name is devoted particularly to this university). Interesting fact is that Wong agreed to earn just $1 per month for the right not to attend staff meetings: it gave him more time for developing himself as a professional gambler. When Wong began playing blackjack, he was already known as the author of Professional Blackjack: it was published in 1975 and became the useful guide for everyone who wanted to achieve a success at this card game. Professional Blackjack is still in print and this fact proves its popularity and usefulness one more time. 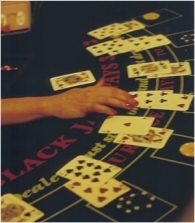 Stanford Wong wrote a lot of books about blackjack in particular and gambling in general; such his works as Blackjack Secrets and Tournament Blackjack should be definitely mentioned here. Today Wong continues to write: one of his last books is called to be Wong on Dice where Stanford described the strategy of beating at casino craps. He believed that it was possible to win at this casino game while using controlled dice throwing though such a strategy was accepted very skeptically. Stanford was also the author of the first special computer software for blackjack analysis: he used it for himself at first and after that introduced it to the public. The name of this software was “Blackjack Analyzer”. Stanford Wong gave his name to the card counting system where a player counted cards without playing but just watching the game itself: when bets became high and good for a player – he joined the game and left it when there was a risk to lose everything. Stanford Wong is happily married and has two adult children who live separately and have their own families already. Today Wong lives in California, has his own publishing house Pi Yee Press in Las Vegas and two web-sites (one – about blackjack; and other one – about sports gambling). He is possible to be seen at televised blackjack tournaments where he takes part as a consultant and researcher, but Stanford Wong does not play blackjack professionally anymore.